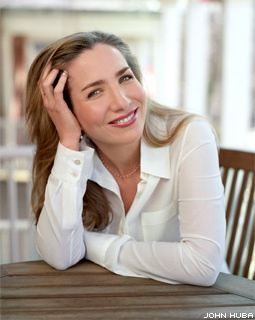 Laura Hillenbrand is the author of the critically acclaimed Seabiscuit: An American Legend, the best-selling sports book in history. The book spent 42 weeks at #1 on the New York Times bestseller list, in hardcover and paperback. Seabiscuit was finalist for the National Book Critics Circle Award and the Los Angeles Times Book Prize, won the Book Sense Nonfiction Book of the Year Award and the William Hill Sports Book of the Year Award, landed on more than fifteen best-of-the-year lists, and inspired the film Seabiscuit, which was nominated for seven Academy Awards, including Best Picture. Hillenbrand’s New Yorker article, “A Sudden Illness,” won the 2004 National Magazine Award, and Laura is a two-time winner of the Eclipse Award, the highest journalistic honor in thoroughbred racing. She and actor Gary Sinise were the co-founders of Operation International Children (www.operationinternationalchildren.org), a charity that provided school supplies to needy children through American troops. Laura lives in Oregon.